KATHMANDU, April 15: Scrapping an illegal decision to lease the government-owned land to private firms for commercial purpose, the Ministry of Defense on Tuesday reclaimed 7 ropanis of land worth Rs one billion in Lalitpur from Nepal Ex-Servicemen Association (NESA) of Nepal Army. After finding out that the association of former army staffers had illegally leased the government land to third parties, which was provide to the association for its own use, the ministry also decided to revoke the decision to allow the association to use the land. Most recently, the association had decided to allow traders to construct permanent structures on the 7-ropani and 10 aana land of plot number 186 in Lalitpur Metropolitan City -3, Pulchowk on January 16. Sources said that the decision was made in collusion between senior army officials, ex-servicemen and traders by influencing cabinet ministers. The government had decided to provide the land adjoining the premises of NESA office in Pulchowk to the organization on August 7, 2006. After complaints about illegal lease of the land, Defense Secretary Resmiraj Pandey decided to scrap the agreement between the ex-army association and traders on Tuesday and transfer the land ownership to the government. 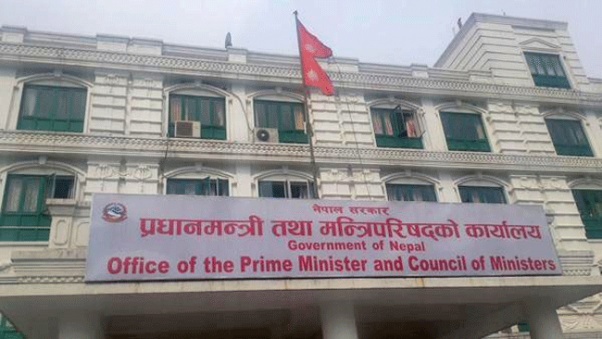 Defense Ministry spokesperson Baburam Gautam confirmed that the ministry has decided to reclaim the land from the NESA. “The land provided to the NESA has been brought under the government's ownership. But I don't know about other details,” said Gautam. 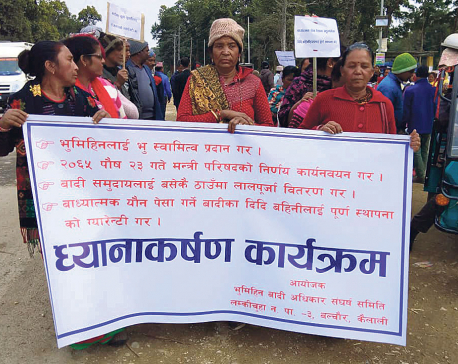 Some members of the association and one Narayan Koirala had knocked the door of the ministry demanding the scrapping of the illegal agreement which led to the misuse of the government land, reads the decision taken by the ministry. “The association was found have leased the land, which was originally provided to the association for its use, for commercial purpose which is against the Civil Codes. Following complaints, the land has been brought under government ownership in accordance to the existing legal provisions,” said officials at the Defense Ministry. 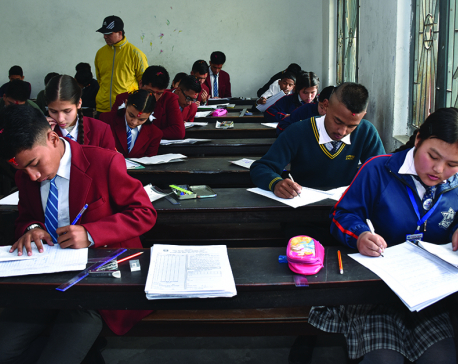 NESA had lately reached an agreement with a private company named Signature Pvt Ltd for constructing a commercial building on lease for 32 years on the land adjoining the Sajha Publication in Pulchowk. The decision to lease the land after demolishing the army memorial had drawn criticism from various quarters. The NESA had influenced several ministers to take permission to lease the land to the private firms. Defense Minister Bhimsen Das Pradhan in the Sher Bahadur Deuba-led government took approval from the cabinet for constructing commercial building on the land. The traders had earlier taken approval from different governments for leasing the land for commercial buildings. The governments led by Girija Prasad Koirala and Madhav Kumar Nepal had also consented to such proposals. Following agreements between the NESA and the construction companies, the Public Accounts Committee (PAC) of parliament had also issued a directive to scrap the contracts. The decision of the Defense Ministry comes at a time when media reporting about public land encroachments across the country has intensified. The Ministry of Land Reforms and Management has said that it has initiated the process to reclaim encroached government lands from across the country.